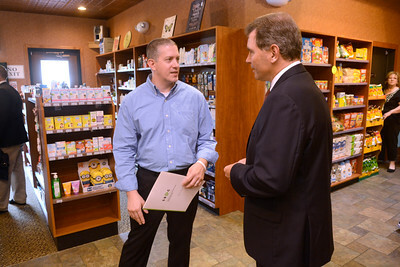 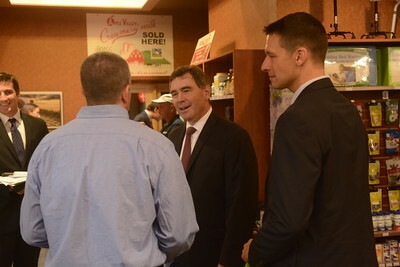 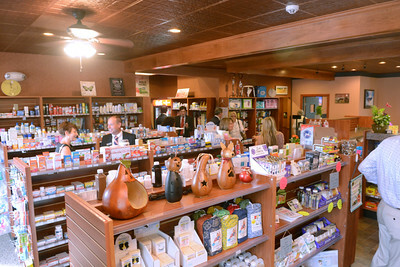 Lewisburg Pharmacy owner Brad Gill, left, talks with DCED Secretary Dennis Davin at the pharmacy on Thursday morning. 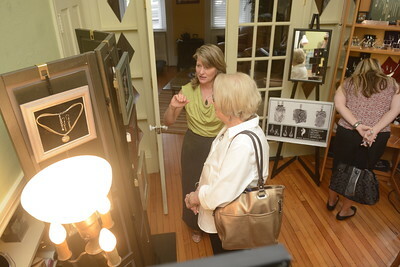 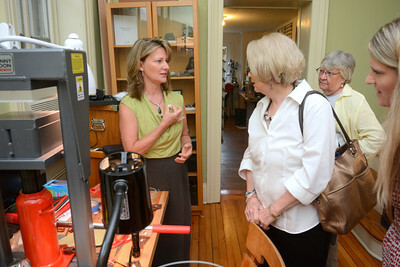 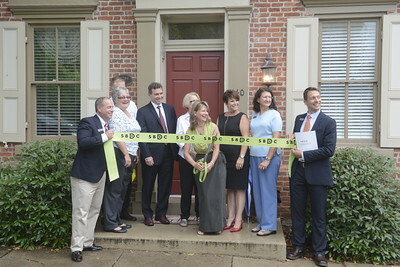 Jewelry creator Rebecca Mohr, left, talks with Lewisburg Mayor Judy Wagner, Kathryn Morris of the Lewisburg Downtown Partnership, and Jessica Brazier of M&T Bank, inside her studio at her home in Lewisburg on Thursday morning. 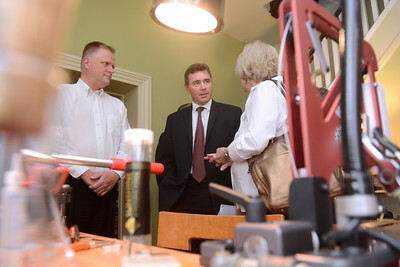 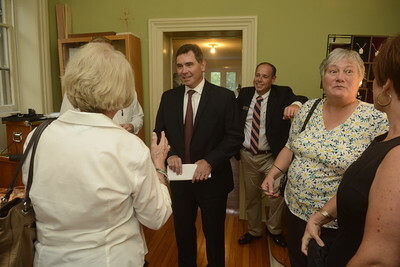 State Representative Fred Keller, left, talks with DCED Secretary Dennis Davin and Lewisburg Mayor Judy Wagner on Thursday at Rebecca Mohr's jewelry studio in Lewisburg.